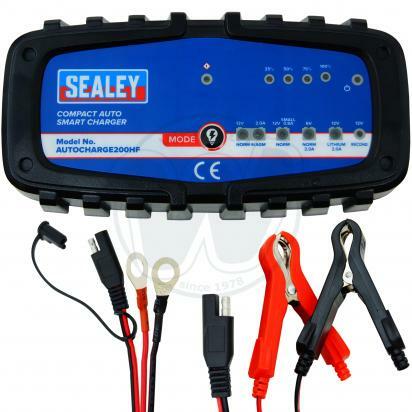 The picture below shows a Battery Charger Sealey Smart 200HF. Thousands of other top quality spares listed on our website at refreshingly low prices. The two eyelet terminals can be connected to your battery, allowing easy access for charging.